Hello, and welcome to the Public Section of the Heroes Network. For the first time on this forum, we now have sections visible to guests. 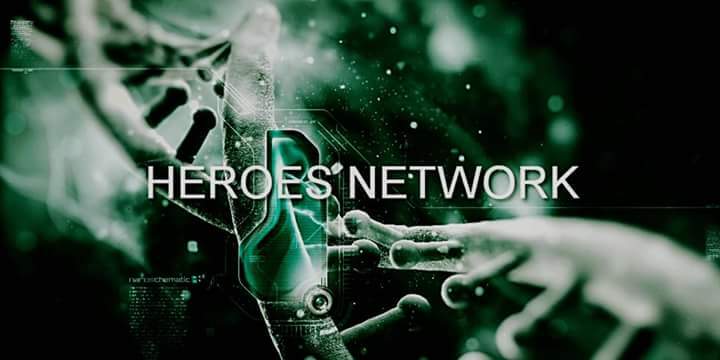 We the members of the Heroes Network need to do our parts to show the world what we as individuals and members of the Heroes Network do. We won't all always agree on every single thing but if we don't speak up about our opinions, then other people will speak for us, if at all, and we can't allow that. So anyway, this section will be for the main stuff about us that we want to show to the public. I think it's awesome that we now have a Public Section. Hello to any guest viewing us and welcome to the Heroes Network Public section. Looks to me like a lot of the categories were already public? At least I can see a lot of the categories without logging in. This is a general Public Section. It means that any general topic or news story or whatever that someone wants anyone to be able to see can be posted here. General Discussions was sort of split in two creating a general section for only members and a general section for the public. The other sections that are public are sort of specialized, eg. Polls, Books, etc. Here, you'll find an extended network of individuals all working to better the community. Got a question? You'll get an answer! I'm not sure what to say...is this like, introducing ourselves to the public or like a news thing or something? I'm a bit confused. It's just introducing everyone to the section. I do that with a lot of the sections. Howdy, my name is Geist and I've returned to the Heroes Network once again. The past departures were mainly due to lack of time, although I always considered this my favorite RLSH webspace. My time hasn't gotten better, but maybe my attention and priorities have. Nice to see y'all here. Welcome Geist. It's good to see you here. Subject: Re: Welcome to the Public Section of the Heroes Network!